Atmos Games, the one-man studio consisting of indie developer Thomas Brush, has announced that its latest game, Pinstripe, has launched today on Steam. Pinstripe is a moody, atmospheric sidescrolling adventure which follows one man’s journey through the frozen wastes of Hell in search of his three-year-old daughter. 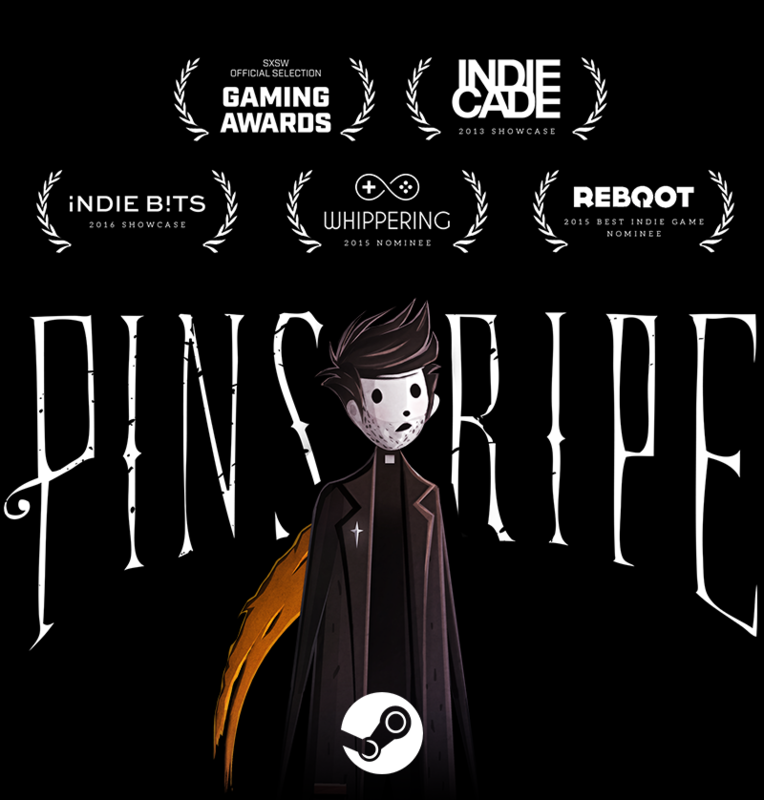 Pinstripe draws its visual and thematic influences from Tim Burton, Lewis Carroll, and Neil Gaiman, citing works such as The Nightmare Before Christmas, Alice in Wonderland, and Coraline. Brush himself is responsible for the game’s design, artwork, and music – so the fact that it’s taken five years to get to this point should be no surprise. Players will need to traverse the sidescrolling environment while solving puzzles, investigating objects, and talking to mysterious characters. Brush says the dialogue in the game is a reflection of his personality, written as a type of stream of consciousness. Also available to the player is a slingshot, which can be used to interact with the environment and attack enemies. To fund the development of Pinstripe, Brush ran a successful Kickstarter campaign, and also signed with Armor Game Studios, a publisher that has existed for a decade as a Flash game portal, and is now branching into indie game publishing. Earlier this year, Time Magazine listed Pinstripe as one of the biggest games of the season, alongside other high-profile story-driven games such as Persona 5 and Thimbleweed Park. The game is now available on Steam for Windows, Mac, and Linux, for US$14.99. Very creative and amazing you did this all on your own. Well done, sir!